Currently my two favourite shows are both revivals of iconic literary characters and new twists on old TV genres. Justified features Deputy U.S. Marshal Raylan Givens from the Elmore Leonard novels Pronto and Riding the Rap as well as the short story ‘Fire in the Hole’ from which the FX series sprung. 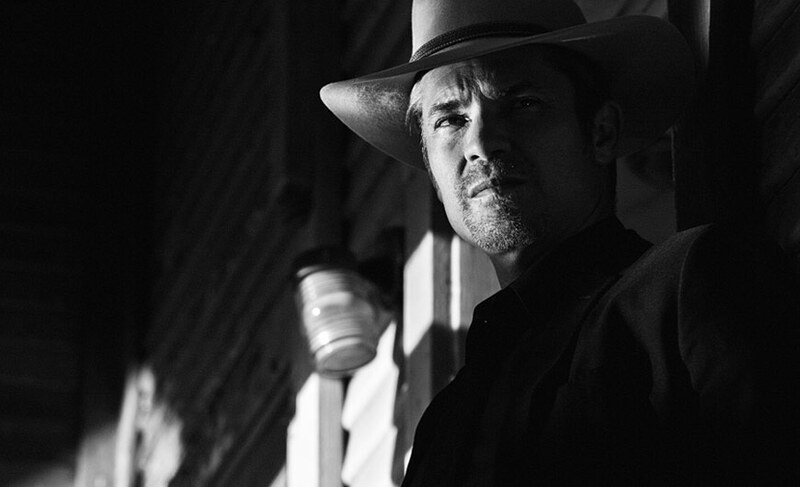 As Justified aired, Leonard wrote his final novel Raylan about the character. Elementary is based around scatological-saying sleuth Sherlock Holmes from Arthur Conan Doyle’s short stories and novellas, re-located and updated to present-day New York. Both are ostensibly police procedurals, a genre spanning the history of television, but they also resurrect some more archaic formats, such as the western and the mystery drama. These are shows that can appease snobs and slobs. Elementary goes under the radar while Justified will soon fall in the woods without sound. So why don’t people like them as much as I do? I love those old black-and-white westerns! I’m not saying that Justified and Elementary are in any way reviled, but neither are they exalted like the offerings of AMC, HBO and Showtime. Despite being on a network with a stellar reputation for original drama, Justified is continually overshadowed by series like Fargo and The Americans, both of which are unlikely to have existed without Justified blazing the trail. Elementary has the disadvantage of being on CBS rather than cable, but it is still far from being considered a giant of well-made, middle-of-the-road entertainment like The Good Wife. This is what they get for doing everything a complex, mature character-driven drama would without disturbing what makes good television. Surely that is more remarkable than trying to produce something worthy without regard to what works on TV (American Crime, I’m looking in your direction!) or even accomplishing great art on networks that are purpose-built to challenge mainstream television conventions. Maybe they’re a victim of the times. 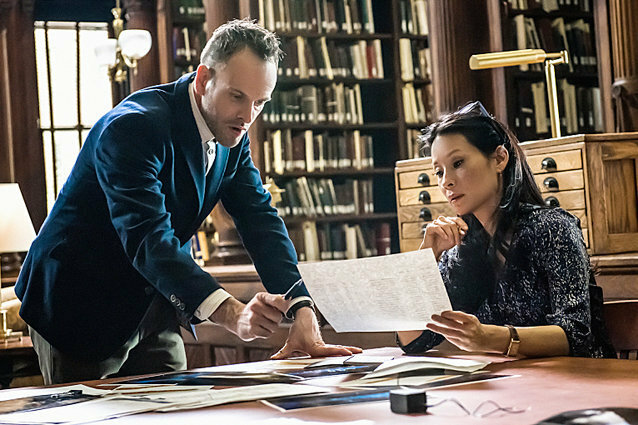 Elementary comes in the wake of the BBC’s Sherlock, a contentless self-hyping publicity machine that has established itself as the worthier successor to the Sherlock Holmes name without any claims between opening and closing credits to that title. Justified began as an episodic procedural and grew into long-form storytelling, and may have looked to those who think good TV comes in serial boxes as unfashionable. Maybe they care too much about history. Justified is pulp fiction comedy in the noble tradition of The Rockford Files and Magnum P.I. and homage to the TV westerns (and disguised police westerns thereof) of the 1960s and 1970s, underlined by Timothy Olyphant borrowing Clint Eastwood’s legs for the project. Elementary doesn’t contemporize like Sherlock, or at least it doesn’t fetishize new technologies as a substitute for coherent storytelling, and at its best it’s Columbo in a brownstone. I suppose what’s layers to some people is packaging to others. But what would it take to understand how holistic a television experience it is to watch Justified and Elementary? I’m watching TV now and in the past, a pleasurable formula alongside a gruelling psycho-drama, good television and the cherry-pickings of popular culture. I look to other TV shows that currently fascinate people like Scandal and Empire and the common denominators are melodrama and outrageous behaviour. Perhaps Justified and Elementary are too straight-faced and plausibly written to stand out in primetime. Maybe the success of Breaking Bad and Better Call Saul is not so much in the transformative character arcs (which both my faves provide in equal measure) but the Dickensian coincidences and lunacy of the protagonists. It’s a fine line between ambiguity and characters doing stupid things to create drama. Characters in these two shows are drawn not sketched. Because Justified and Elementary derive from a body of work outside of themselves, perhaps audiences assume they need prior knowledge of the characters and authors’ previous works in order to enjoy these series. Nothing could be further from the truth. Elementary eschews the fan-fiction qualities of Sherlock in favour of original content utilising the character dynamics of the literary cycle. You do not feel like you have to be a devoted reader of Conan Doyle nor worship the cult of Sherlock Holmes to appreciate Elementary. Yet it is an authentic introduction to the Holmes stories in a way that Sherlock refuses to be. Elmore Leonard is simply a point of departure for Justified and his characters and storylines have been reinterpreted, interwoven and extrapolated to the point where they are born anew (for copyright reasons just as much as artistic ones). Leonard is the midwife here not the overprotective mother. 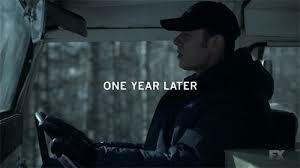 It’s no shock that here in the States TV shows go on far too long or that they change drastically over time. Most series signpost their anti-ageing facelifts to viewers with the help of subtitles, which act as disclaimers for authenticity and longevity, as in the later years of Saved by the Bell or on the opposite end of the scale (it thinks!) American Horror Story. 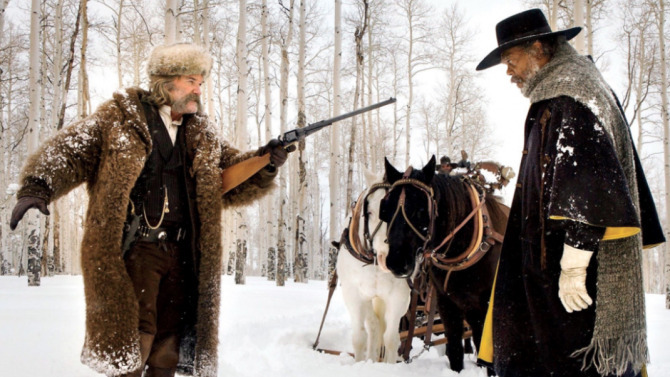 Others more confident of their status as season-long anthology plays such as True Detective and Fargo will re-cast completely each year to demonstrate that it is the concept not the characters that are the stars. 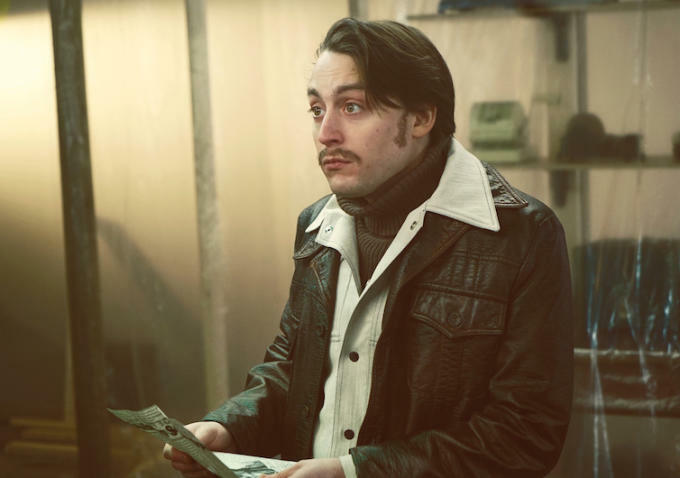 Despite this amnesty on self-adaptation, some shows still seem wary of admitting to viewers that they have renewed themselves in the process of maintenance. Remember them? No, neither do I! Chief among them is Homeland. Showtime’s CIA thriller has killed off the character around which the show revolved, re-located to another country, and butchered its beautiful title sequence, which was always as good as (and increasingly better than) anything that followed. Yet it still goes under the name Homeland and goes around acting as if nothing has happened. Frankly, it’s a bit of a cheat. Having revealed itself as a concept that barely had enough material for a mini-series, perhaps it would have wiser to position the post-Brody Homeland as a spin-off or linked franchise entry. With the emigration of the series, it could be Homeland: Kabul or as Damien Lewis re-appears shrunken in all but hair as Brody’s baby son, Homeland: The Next Generation. I’m not serious about these title tweaks, but the point is that TV has ways and means to suggest that a show has changed dramatically without any detriment to the brand or canon. It’s a win-win situation. The viewer base for the series will return in loyalty to their show and if hideous it can be written or quietly killed off in complete deniability of any resemblance to the original. There is precedent for this in the Columbo spouse-off featuring the elusive Columbo Indoors. Mrs. Columbo starring captain-turned-convict Kate Mulgrew was intended to be a mystery following the amateur sleuthing of Columbo’s wife. It was so unpopular and implausible that producers decided Kate Columbo just happened to be married to another detective with the surname. In the last four years, Key & Peele has been one of the smartest and most culturally relevant comedy programmes on American TV, and surely a historical high point in TV sketch comedy. This season they have forgone what for many viewers was the highlight of the show, their semi-improvised skits in front of a studio audience introducing the main sketches. There are also noticeably fewer sketches per show, and a shift in the framing of the series towards the cerebral with a sombre western motif in the re-recorded theme tune and filmed introductions. With the amount of time they’ve been on the air, and my suspicion that the changes were forced by a busy production schedule, I don’t begrudge it. But I don’t approve. 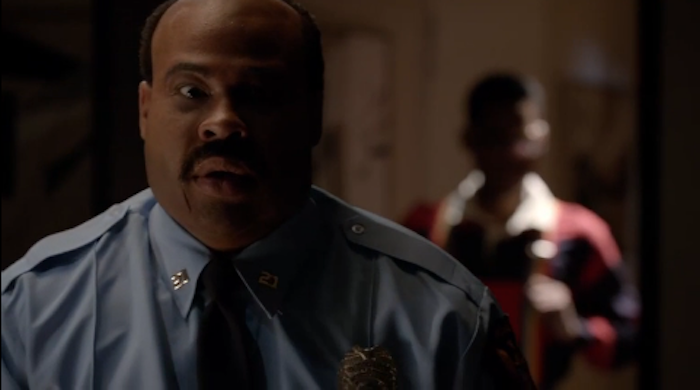 The ‘live’ segments of Key & Peele may have been too much of a nod backwards to traditional vaudeville for those obsessed with innovation, but they were the show’s unique selling point. They were bouncy, energetic, and personable, with many of the loosely improvised moments standing shoulder-to-shoulder with the pre-written material in terms of quality. The pre-recorded banter this has been replaced with just seems flat and inert by comparison (with the exception of the discussion about ventriloquist dummy ‘Willy Talk?’). 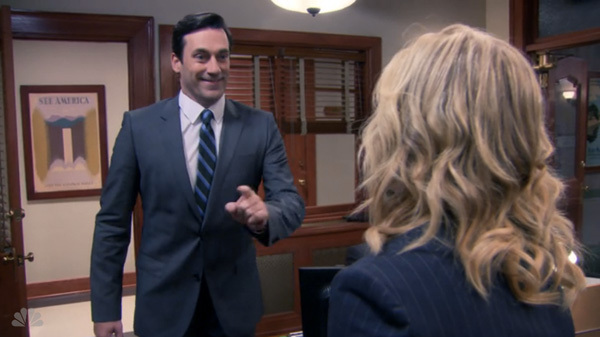 Equally, I feel that what set the sketches apart from the Saturday Night Live School was how tightly-scripted and effectively concluded they were. With sketches stretched to a commercial beat and post-punchline by close-of-play, they’re dragging like Lorne Michaels’ feet about hiring black women. I am, of course, a hypocrite. An aspect of AMC’s The Walking Dead I greatly enjoy is how the concept of the series can periodically change in the space of a few episodes. At the beginning of last year, it was a show about farming. This time round it’s about shooting cannibals with sub-machine guns. Yes, the idea of movement is ingrained in the title, and change has been a part of the formula from the beginning, but it’s still got away with en-masse recasting and retooling without any acknowledgement to the viewer. I suppose the difference is that between growing and living. The Walking Dead evolved into something greater than it was while Homeland and Key & Peele maimed their greatness to carry on.